Welp, this arrived on Thursday as I got home from work. Its Asshansons old 2006 Corvette. Previous owner ended up dropping a valve and locking the motor after he only put around 3k miles on it over the last 3 years. I made the journey down to Iowa to look at it 2 weeks ago and debated what to do... After some heavy thinking and some negotiating, it's in the garage. I will start to tear into after our wedding takes place mid July. Overall condition of the car when I looked at it a couple weeks back was rough. Once it was delivered I gave it a bath and an interior polish. It looks in much better shape than I though it would be. Still needs a good exterior detail, but that will come once the engine gets addressed. Still has all the same mods Andrew left on it when he sold it, no changes. Once the engine comes out and I figure out what can be salvaged ill decide on what to do engine-wise. Thinking built shortblock with a mild cam for around 500whp. Last edited by A//// Guy; 02-22-2016 at 08:45 AM..
Nice! Congrats! I'm sure it feels good to have a fun car again, regardless of its current condition. When does the bowtie tattoo get installed? Sweet! Can't wait to see the progress. Woot! Can't wait to see this beast back on the road! You are gonna get rid of the supercharger? I still think you are nuts, but I am excited to see what you do to this beast. Haha thanks dudes, it is exciting to have something fun again. Supercharger will stay, stay tuned for updates! Awesome! Glad to see this car back in the family of sorts! How many miles are on the chassis? GMstyle! I think right around 57k, battery is dead so I have to charge that up tomorrow to double check it. Awesome to see, in for updates! Excited to see what you decide for the motor, a milder cam actually designed for a supercharger application instead of the stupid big one in there now haha. It will definitely be over 500whp. Oh, and it's already setup for E85, run all of the boost! Thats what I told him! He keeps saying, eh. I dunno. 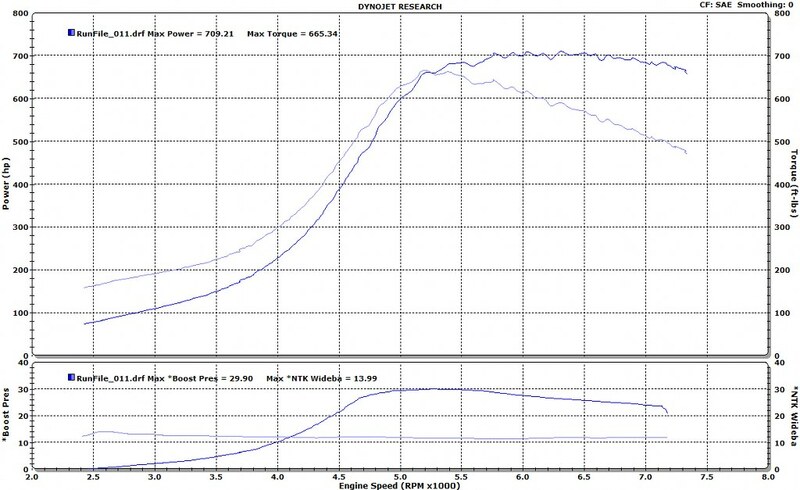 I'm like well if it can make over 500whp easily and comfortably, why limit it at 500whp haha. It was built to be a rock solid daily driver and track day car. The new engine and drivetrain is just broken in, running fantastic. I will have exact dyno numbers soon (very soon if there's interest), but it should be a good bit over 500rwhp and around 500rwtq. I put a lot of time and money into the car, especially this past winter, and was looking forward to enjoying it, but the wife is looking at a career change, and this would facilitate her taking time off to study for a while.